The rapid growth of biologics within the pharmaceutical sector has led to an ever-increasing need for temperature-controlled packaging, especially in the support of clinical trials. Nowhere is this more apparent than in the ‘last mile’, from either the depot or clinical investigator to a person’s home. 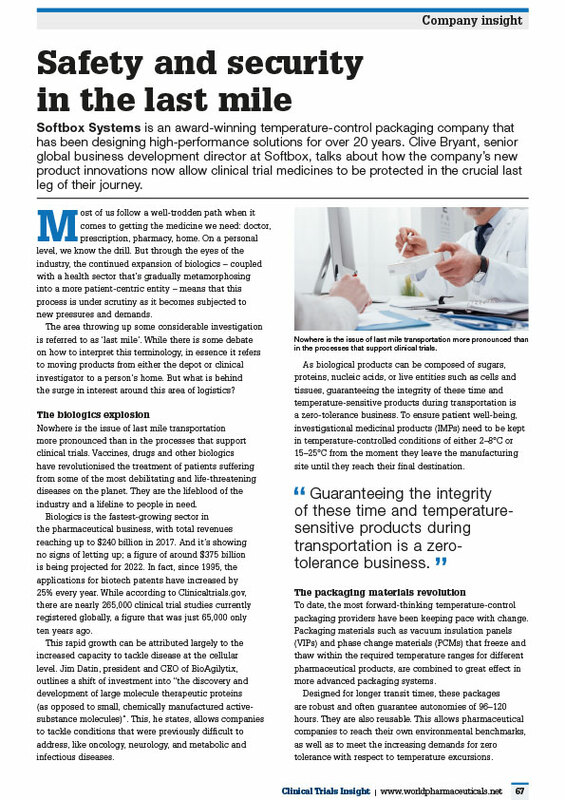 This article, published in the December 2018 edition of WorldPharma, discusses how advances in packaging technology are helping to preserve the integrity of investigational medicinal products (IMPs), specifically during the critical ‘last mile’.